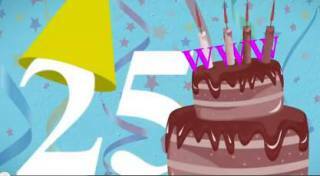 Happy Birthday World Wide Web: The Gift That Keeps On Giving, Until It Doesn't? We have Tim Berners-Lee to thank for the World Wide Web - an accessible bank of knowledge that's hyperlinked content across the globe bestowing upon "us mere mortals a real chance to learn as much as our brains can store." And guess what? He did it all before digital monetization even entered our lexicon. For all that he gave, he never asked for one red cent in return. Does that mean we owe him nothing - or do we? The world has changed markedly since March 12, 1989 when freedom to explore and express ourselves openly was not an issue. Today, we tred an uneasy balancing act between our newfound digital rights and the power of Big Brother. This is why IMHO its payback time for Mr. Berners-Lee. The inventor of the Internet as we know it today believes strongly in establishing an online "Magna Carta" to protect and embue the independence of the medium he created and the rights of its users worldwide. We not only owe him support in this endeavor, we owe it to ourselves. Similar to a Bill of Rights or the establishment of a global constitution, Berners-Lee is suggesting an open and neutral system to protect us all from government surveillance and corporate influence. This new set of rulings will be part of an initiative called the "Web We Want" and would outline principles that will need to be supported by all parties, including governments, public institutions and corporations. Getting back to basics and Berners-Lee' utlimate goal, he sees the Web We Want (aka WWW) as a means to secure a mooring of the Web where a free flow of knowledge, ideas, collaboration and creativity can continue to thrive openly. Established by Berners-Lee, the World Wide Web Foundation is a non-profit organization that will coordinate the We We Want campaign. They will be assisted by dozens of similar organization from around the world with background and experience in campaigning for digital rights. Coupled with the efforts of Berners-Lee is another group called "Don't Spy On Us." It's mission is to thwart governments' invasion of our privacy. Based on the growing fear of cryptography and appeal of the Deep Web, this group sees the possibility of the Web fragmenting into a series of highly encrypted parallel networks. Or as Mike Harris at the Huffington Post describes it: " the sabre-rattling from Brazil, nations could "force data to come home", meaning the global Web as we know it could be replaced by national Web(s)." The group like Berners-Lee's "Web We Want," is calling for real openness and reforms to laws that will help to put surveillance on a clear legal footing. 1. Add your name to the "Web We Want mailing list here. They’ll keep you informed as their campaign begins to gather momentum. 2. Add your name to "Don't Spy On Us" campaign here. 3. Start a national dialogue about the Web that your country wants. 4. Draft an Internet Users Bill of Rights for your country, for your region or for all. From national regulations to an international convention, this campaign is looking to collaborate and propose the best future legislation to protect our rights online. The original Magna Carta was a charter issued and sealed in 1215. It is widely known throughout the English speaking world as an essential stepping stone that led to the rule of constitutional law, initially in Britain, and later in various forms throughout civilized nations. Now, almost 800 years to the day, a similar charter is being requested by a man who gave so much and asked for a little in return. In celebrating the 25th birthday of his monumental technological advancement, the very least we can do in the form of gratitude is to take his lead once again and protect the gift he gave to us -- so it can keep on giving -- for many, many birthdays to come. Bath Mats Are Going Green -- Literally! Sh!t Happens! Why Not Have A Fun Place To Put It?